Learn to be up to 60% more effective? Over 10,000 people preceded you. Bjørn combines the razor sharp mind of the former Venture Capitalist with the razor sharp skills of the swords champion he really is; the wisdom that comes with tough self discipline with the leadership skills of the entrepreneur. A rare individual who succesfully bridges cultures and mindsets to return the best on people. Dutch interpretation of Japanese added value from The Hague. An experience! Bjørn has a warm and strong personality. In combining eastern philosophies with western management methods he triggers provocative thoughts and out of the box self reflection. He has trained our entire staff (16) in a unique and inspiring session, which permanently strengthened group-feel and teamwork. Bjørn has performed the Martial Arts workshop within KLM’s Commercial MD-program for high potentials, entitled “Focus on your Future”. At the start of this annual program, this has proven to be of great value in the opening up of our staff into their path towards a deeper and clearer understanding of their challenges. Return on People offers unique training programmes in the field of Lean work, communication and personal effectiveness, based on over 30 years of experience in the business world and beyond. In addition to training programmes, we also provide lectures, events, workshops, teambuilding sessions and change management programmes. In our programmes, you learn which behavioural patterns stand in your way and what your pitfalls are in communication, how you can deal with inhibitory factors and how you can always give the right answer to every question. We do not want to overload you with knowledge. Instead, we make your backpack lighter. This way you can work with overview, balance, and proactivity. Our programmes are tailor-made and practice-oriented. In our training sessions, we use techniques from the Eastern martial arts to allow participants to experience the theory themselves. This way we create a return of more than 60 percent on the insights offered. Because the knowledge is immediately incorporated into the subconscious mind, the new insights are easier to apply directly. Both at work and at home. Through the combination of Eastern knowledge and Western science, participants learn to look at daily challenges in a new way: creatively and with the emphasis on efficiency. The breakthrough, which participants experience, is the beginning of a new road. In practice, we mainly use iaido, the traditional Japanese use of the samurai sword. 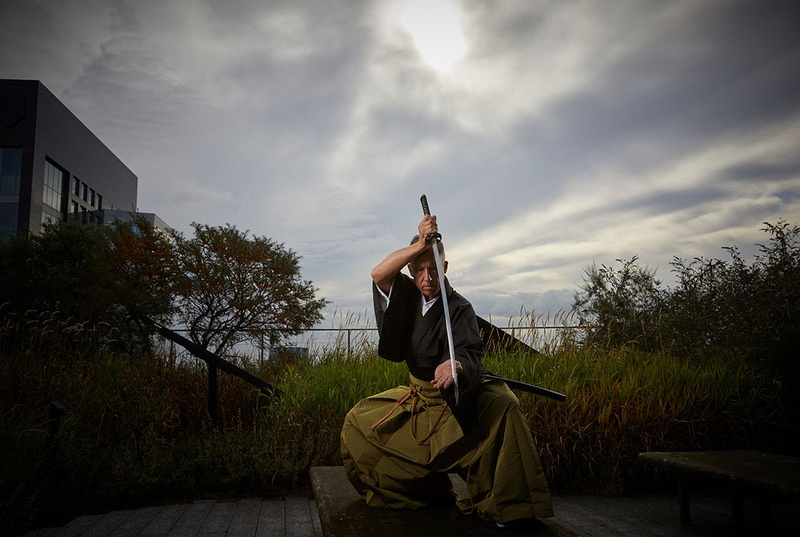 Iaido develops consciousness, concentration, sincerity, a quiet mind and mental and physical unification by practicing traditional sword techniques. Iaido is closest to the Samurai class and Japanese nobility and is not a sport, but a unique and time-honoured traditional art for the development of body, mind, and soul. Bjorn Aris trains and coaches employees in the middle and higher segment of business, combining Eastern wisdom with Western science in order to increase the efficiency of employees in their working environment. 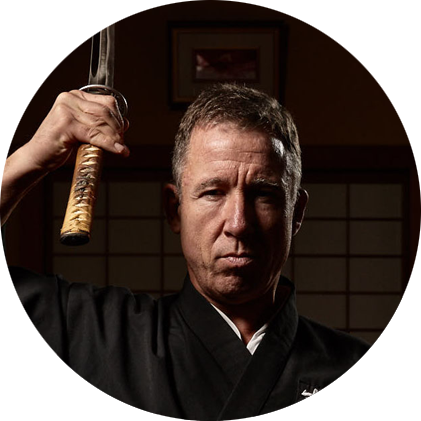 Bjorn Aris has studied Eastern martial arts and Zen philosophy for 35 years and is well-acquainted with the business world: as an ex-investment banker and entrepreneur, his knowledge and mastery of Japanese swordsmanship in relation to the work floor hit home with many organizations. There are many training programmes, but what is the actual return? The business community spends a lot of money on training employees, but how effective is that training? And… why is what they learn not applied? Usually, in a training session, you will learn to do something in a certain way. But that does not necessarily have to be your way of doing things. We believe that you have to use your own strengths and not work against your nature. It is also often unclear to employees why they would want to learn something. A training course is something they have to follow, and therefore they participate with little interest. By addressing their own motivation, employees tackle the new skills much more quickly and effectively. Ultimately, it often goes wrong through the way the training is given; the substance remains abstract. We ensure that participants experience the techniques themselves so that they can apply the knowledge from their subconscious – where the thinking speed is 10 times higher than in our consciousness – anytime and anywhere. Yes, I want better returns!